Meet Verity Annabelle Mary. She is just starting out on her long journey to her new home in Canada. She is so excited that she will get to give her new mother a big birthday hug and be able to celebrate Christmas with all of her sisters! 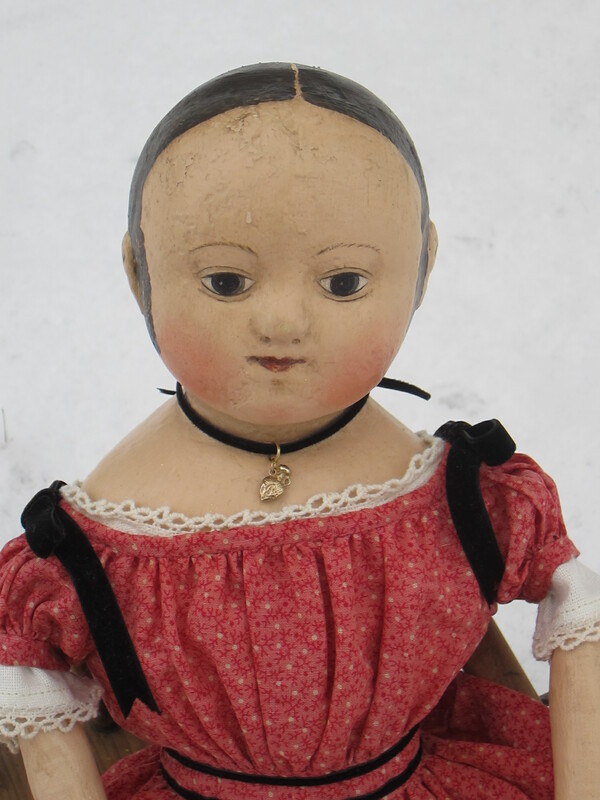 Very beautiful doll , just in time for the Holidays. I’m very partial to red dresses and this dress is so festive. Fondly, Mary Goddard. Thank you! No doubt you’ve noticed the resemblance to Miss Anna. Charlotte named her in honor of Anna and you 🙂 I do know how you love red dresses! This one looks redder against the snow than it really is. In person it is actually a very dark double pink. I hope you are enjoying December and getting ready for the holidays! 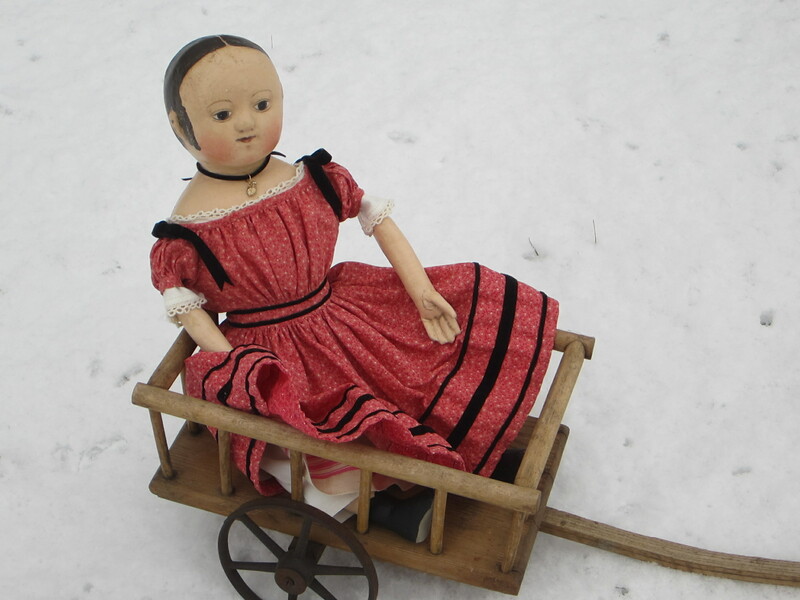 Verity is so sweet in her wagon! 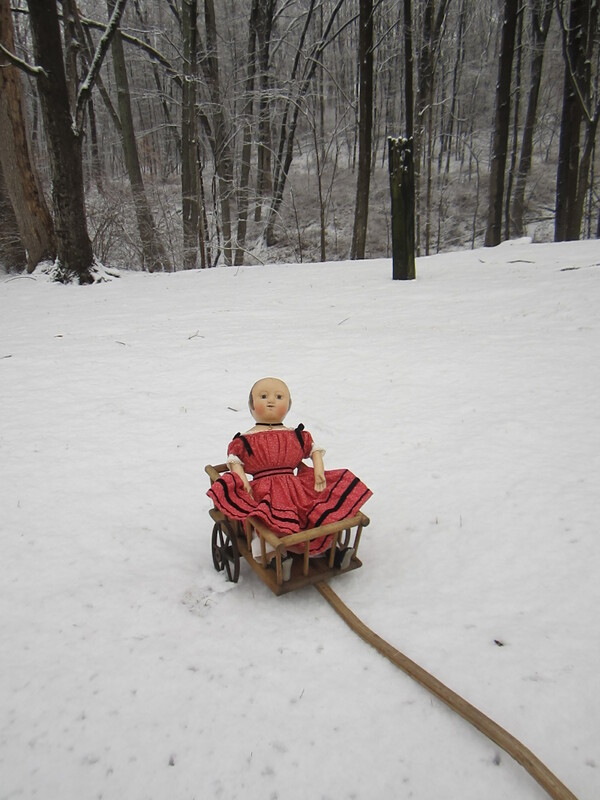 She appears to be just a little smug enjoying a few moments of New England snow out all on her own! She really does show off her younger chubbier face in these photos. Paula, she looks So darling!!! I love Love LOVE the velvet trimming added to her dress! It is Perfect! Thank you so much for the birthday wish! 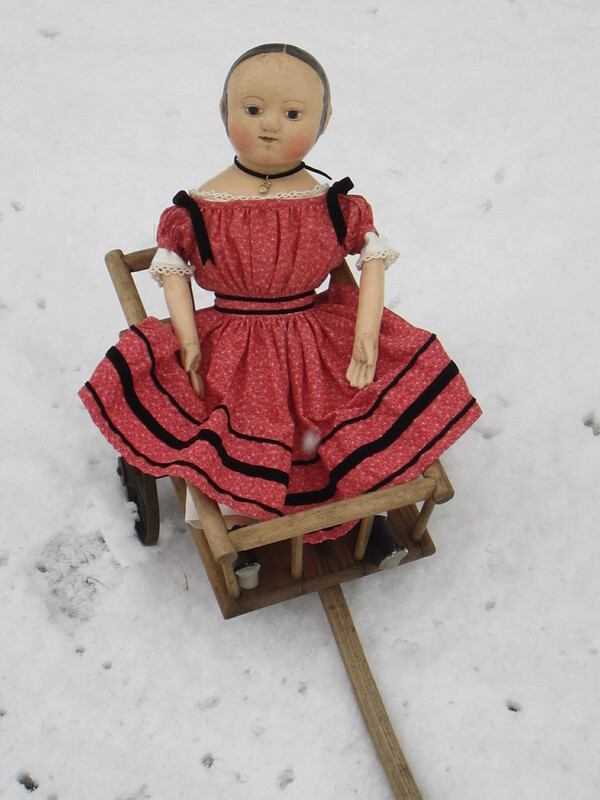 I am so thrilled to have another of your spectacular Izannah Walker dolls! And to have her come live with me now is such a special birthday treat! 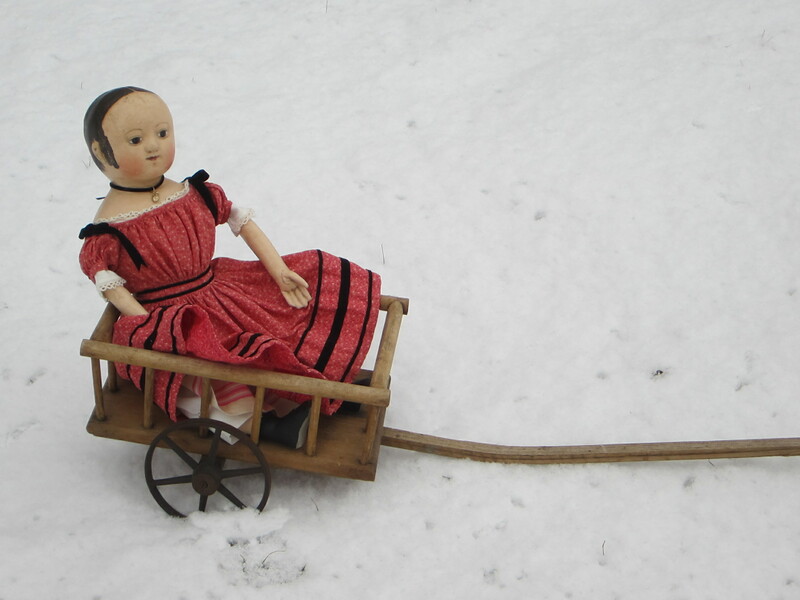 Mary, I did name Verity for you and your darling Izannah Walker doll. After all you and Anna made Verity possible and every time I look at her photos I think of you and the others – and the wonderful time we all had at the Izannah Walker Retreat last Sept. 2012! Is it so long ago now? I’m so glad you like the ribbons. I think they make the dress “pop”. Plus she just feels like a ribbon sort of girl! I’m sure she will be happy to do whatever her big sisters want to do. Isn’t that the role of all little sisters? I could certainly go for hot cocoa and a fire right now!